Steinkraus participated in 5 Olympic games. At the 1968 Summer Olympics held in Mexico City, he won a gold medal in Individual Jumping with the horse Snowbound. He obtained two silver medals in Team Jumping, first in 1960 on his mount Ksar d'Espirt, and in1972 on Main Spring. Steinkraus also won a bronze medal in Team Jumping at the 1952 Olympics in Helsinki, Finland on Hollandia. He was also slated to ride on the 1964 Olympic Team until his horse, Sinjon, was injured. Steinkraus retired from international competition at the end of 1972, following the show season, but continued to remain involved in the horse industry. This included involvement in the USET, either as president or chairman, from 1972–1992, and as an "Honorary Member" of the FEI Bureau. He also was a television commentator from 1976–1988, and a judge at the 1992 Olympic games. 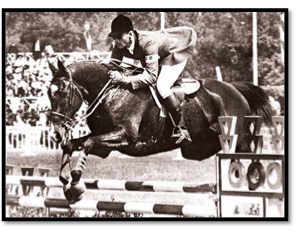 His book Riding and Jumping was first published in 1961.